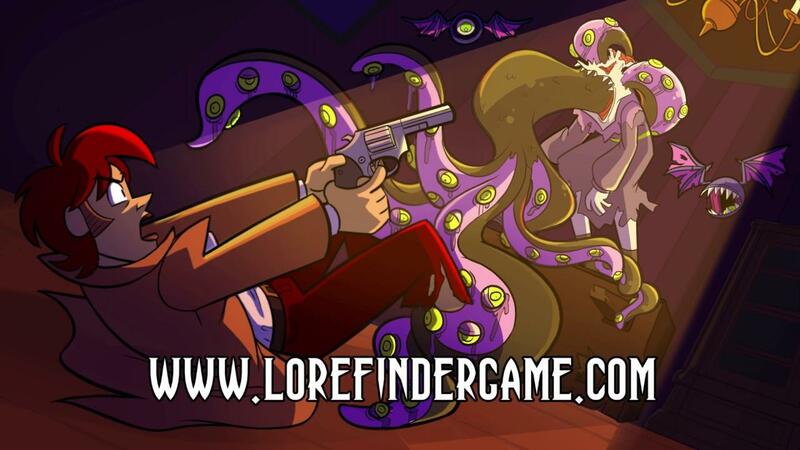 Lore Finder from Kitsune Games is a very promising looking Metroidvania and the good news is that it's fully funded and heading to Linux. If we want to see a simultaneous release, the stretch goal is up and it's quite low. Currently sitting on $10.1K on Kickstarter, the developer has been rather open about their plans for Linux support. It's going to happen, but to help with unforeseen issues they're asking a simple extra $2K to deal with a simultaneous release for both Linux and Mac. It reads "This modest stretch goal gives us the budget to deal with any unforeseen problems getting Lore Finder running on Mac and Linux", which is fair enough. If you want to try it out before pledging, they actually have a web demo (it will be a native release when ready) which can be found directly on the Kickstarter or on itch.io. Kitsune Games previously put out the rather great roguelike MidBoss, which I loved and it seems our contributor Scaine did too. So I've no doubt the Linux version of Lore Finder will be done well. They're going to be making it with the FNA library created by game porter Ethan Lee so it shouldn't have too many issues. The demo is really good. Looking forward to the full game! Next news: Lore Finders devs ditch Linux version because "too many flavors" and "shaders on OPENGL". Just a reminder, ask devs about flavors before giving crowdfunding money. orochi_kyo Next news: Lore Finders devs ditch Linux version because "too many flavors" and "shaders on OPENGL". Just a reminder, ask devs about flavors before giving crowdfunding money. Wow. It sounds like he took orochi_kyo's comment personally. Enichan, if you're reading this, just know that it's becoming cliche for a kickstarter to hit a Linux stretch goal, then retract support later on because there are "Too many linux distributions". Some of us are a little burned, is all. I'm looking forward to your game. It looks brilliant! Getting in too much of a rant for my taste for a general remark not specially targeted at him/her. Greetings to the ranting dev, I appreciate you're supporting Linux! Orochi_kyo's comment is probably referring to this. As a Phoenix Point backer myself, I understand the saltiness . Nothing personal, Enichan.